Marine mammals are important sources of food for coastal Alaska Native residents. In northern and western Alaska, changing sea ice affects the animals and access to them by hunters. 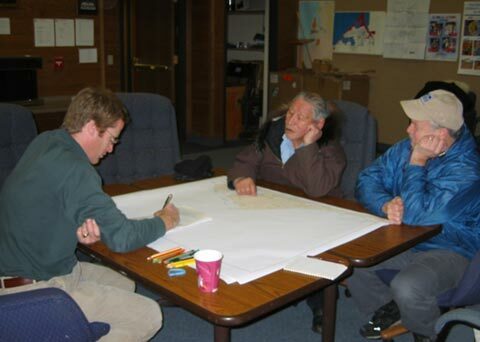 Documenting what Iñupiaq and Yupik hunters know about marine mammals and sea ice through many years of watching, hunting, and learning from older hunters (i.e., traditional knowledge) makes accessible a wide range of information relevant to understanding the ecosystem to which humans belong. We interviewed hunters in coastal communities from the northern Bering Sea to the Beaufort Sea and compiled those interviews into the following reports. These reports have been approved for sharing by the interviewees and their communities. A suggested citation is provided in each report. 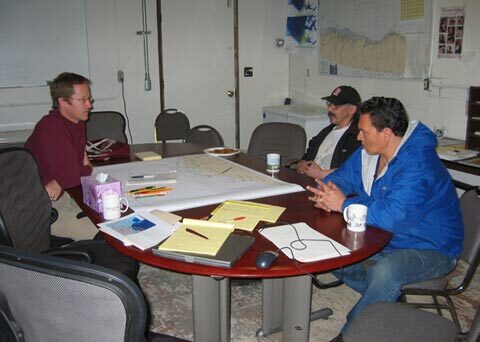 Henry Huntington interviewing subsistence hunters in Kaktovik and Barrow. This map is a product of the interview process in Elim, 2015. Huntington, H.P., M. Nelson, and L.T. Quakenbush. 2015. 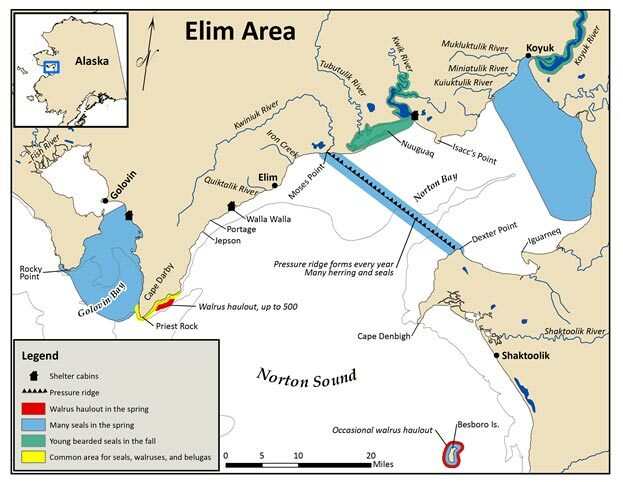 Traditional knowledge regarding ringed seals, bearded seals, and walrus near Elim, Alaska. Final report to the Eskimo Walrus Commission, the Ice Seal Committee, and the Bureau of Ocean Energy Management for contract #M13PC00015. 7pp.